Mark Martin is being inducted in to the Michigan State USBC BA Hall of Fame for Meritorious Service. Mark has served on the Michigan State Board since 1998. During that time he has chaired the Masters Committee since its inception in 2008, and the Hall of Fame Committee since 2010. Also on his state resume is Director of the Year award in 2003. On the national level, he served on the ABC (American Bowling Congress) board from 2002 until 2005 and currently on the USBC (United State Bowling Congress) board since 2010. He is the USBC Legal and Legislative Committee chair and also serves on several other USBC Committees. Locally he joined the Greater Detroit Bowling Association Board in 1986 and served on the board until 2006. 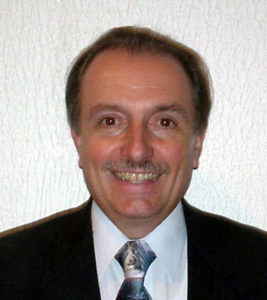 In 1996 he was selected Executive Director of the GDBA and subsequently as Association Manager of the Metro Detroit USBC, a position he currently holds. In 2003, the Detroit women’s Bowling Association tabbed him as their association Secretary /Treasurer, the first male to hold the position in WIBC. He was elected into the Detroit Bowling Hall of Fame in 2003, received the Michigan State Journalist Award in 1997, a BWAA writing award in 2010, the Thomas McKay award for lifetime achievement in 2011 and the Michigan State USBC WBA Manager of the Year in 2011. He believes that promotion of our sport is key to the sport of bowling being healthy. In that view, he was co-founder and executive producer of the Greater Detroit Bowling Bonanza television from 2002-2004, host of the Michigan Kingpins in 2013-2014, and currently producer and host of Bowling Showcase. As a bowler for over 50 years, he participated in the ABC/USBC Open Championship s continuously since 1979 with a career tournament average of 183. He also participated in the Michigan State and Detroit Association tournaments for over 25 years. He has three career 300 games, a high series of 782 and high average of 221.